How can I "Edit" a previously published campaign? 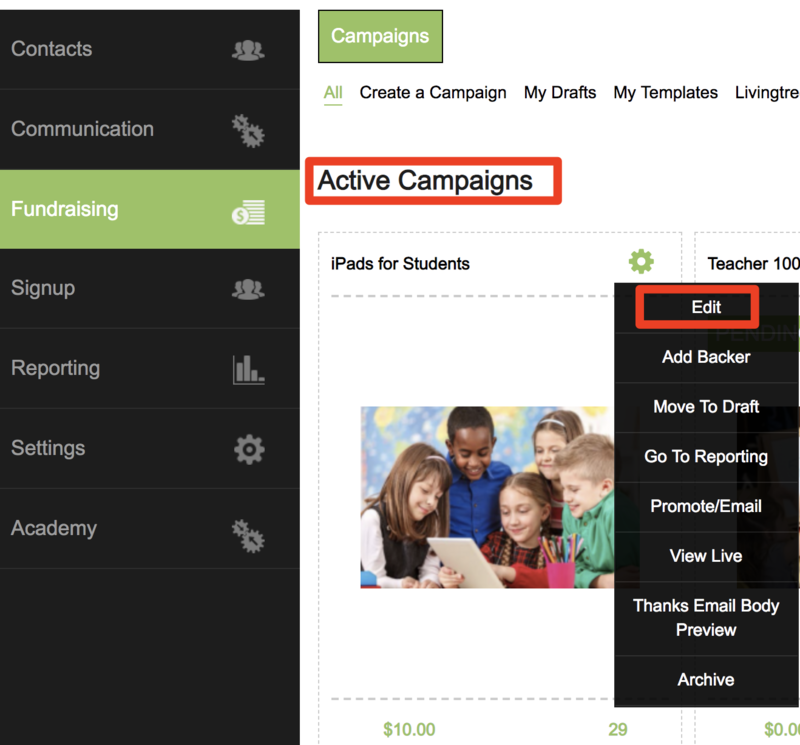 Within your account, go to Fundraising > Active Campaigns. Click the cog icon at the top right of the campaign that you are trying to edit. Select the "Edit" option. 3. Go through and make edits your campaign. 4. When you are done with your edits, on the final step, click the "Publish" button at the bottom right. Your edited campaign has been re-published and is live for donations! Note: District Campaigns Only - Within a LT District platform, for Teacher/PTA/Booster or Bookkeeper accounts whose campaigns have already been reviewed and approved do NOT require another approval if/when subsequent edits are made.